This is my first ever Salvatore Ferragamo fragrance, and it’s definitely a keeper! 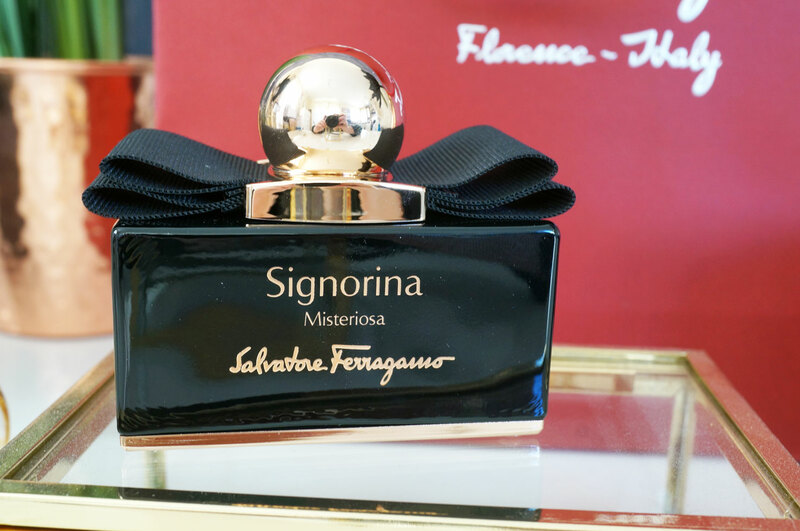 The latest addition to the Signorina collection, Signorina Misteriosa is the perfect night time scent, heavy and mysterious, it’s just the sort of fragrance I’d choose for an evening out. 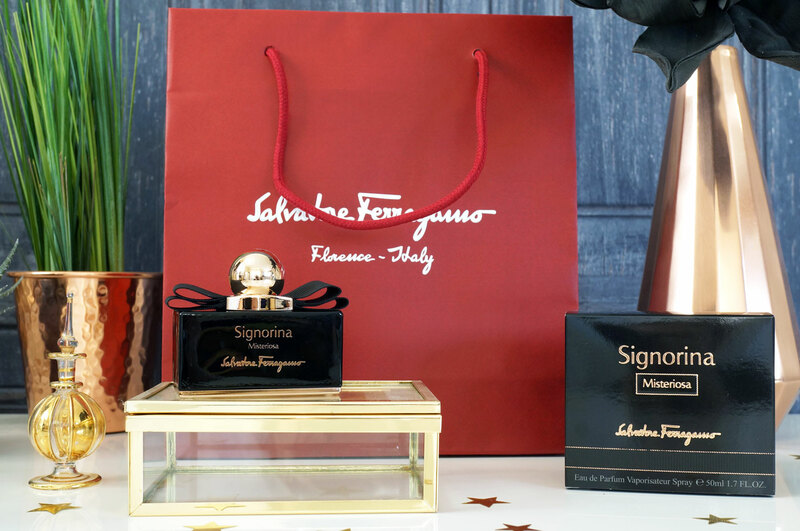 Signorina Misteriosa is a beautiful oriental fruity scent with top notes of Wild Blackberry and Neroli. Nuances of Orange blossom blend with the opulent sensuality of Tuberose to give the fragrance a seductive undertone, and an irresistibly sweet Black Vanilla Mousse accord signs the dry down while the Patchouli gives an elegantly stylish touch. Signorina Misteriosa is described as the celebration of a girl’s mysterious side. It’s a daring fragrance for an unpredictable character. To me, this fragrance conveys confidence, sensuality and elegance. I love the packaging too – the black and gold glossy bottle is simple, yet luxurious and chic, it also has four little studs underneath to raise the base, giving a nod to Ferragamo’s beautiful leather bags. The more I wear this perfume the more I love it, and twice now I’ve had people wanting to know which perfume I’ve been wearing! I’d highly recommend this if you’re looking for a new evening scent. 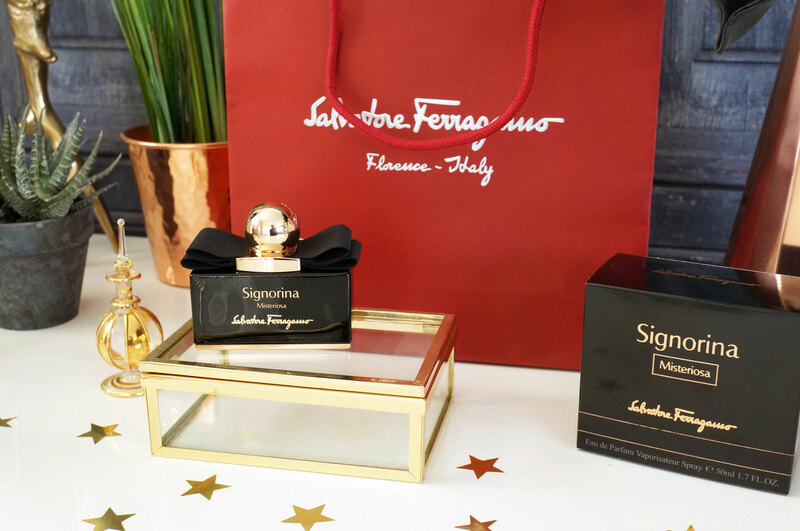 Salvatore Ferragamo Signorina Misteriosa is available from £42.00 exclusively at Debenhams, and from additional stockists from 15th February.